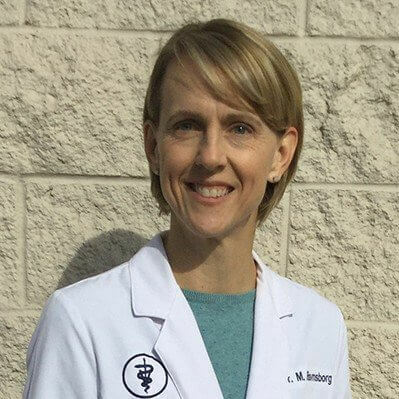 A native of Grainfield, Kansas, Dr. Michelle Ravnsborg received her Doctor of Veterinary Medicine in 1999 from Kansas State University. After her first year of practice in Springfield, Missouri she spent 15 years working at Elkhorn Animal Hospital. Dr. Michelle places a strong emphasis on fostering the human-animal bond and her focus is working together with clients to help them find the best approach to fit their pet’s medical needs into their lifestyle. Her time outside the clinic is filled with her kids’ activities, travel, reading, and time with family and friends.